Because sailing is a romantic enterprise, it attracts a wide range of dreamers, myself included. The downside is that there is often an enormous gap between our dreams and the reality in which we find ourselves. Many people I speak with tell me they are planning to take a long-distance cruise. “When?” I ask. “Oh, as soon as I retire…I’d say in four or five years we’ll be headed for Tahiti.” Alas, the four or five years often stretch to 10. So there they find themselves sailing a large offshore yacht on the Chesapeake for 10 years. Sure, they may make it to Maine or the Bahamas from time to time, but the big offshore multihull is essentially underutilized on most weekend sailing excursions. A smaller and less seaworthy multihull would probably do the job just as well for a lot less expense. At sailboat shows the catamarans sit peacefully at protected docks with fresh flowers on the saloon table, designer duvets on the beds and candles scenting the air. It is all about features, esthetics and price at the boat show. As I joke with my staff, “It’s about the Corian, not the core.” How big are the beds, the sinks, the showers, the galley these are the sorts of things most buyers focus on, particularly those who are new to boating. Forgotten is the fact that this 15,000- to 40,000-pound object has to be pushed through the water—preferably by the wind. While many buyers often tell me, “I don’t care about performance,” it isn’t long after they set to sea that they come to understand that the spacious, comfortable boat they fell in love with at the boat show is not so comfortable underway—and dreadfully slow. So think very, very carefully about your sailing agenda. Many lower cost, spacious catamarans are fabulous for sitting at anchor or puttering up and down the Caribbean or ICW, but there are likely much better choices for the voyager who intends to cross oceans or cover 1,000 or more miles a year. A two-hour demo sail on the Chesapeake Bay is a bad way to determine how your dream cat will sail when the barometer starts to plummet and you are too far from shore to run for cover. Yet most people buy sailboats—multihulls or otherwise—without sailing the boat in a stiff breeze or real seas. Yet until you sail a boat in a breeze and large waves you cannot adequately measure the quality of its reefing systems, rig and sails, or the way she handles under sail or power, etc. In large catamarans it is especially important to sail upwind for an hour or so in a stiff headwind to see how well she points—and how hard she pounds. Low bridge deck clearance or too much weight or too little beam can make sailing a catamaran upwind unpleasant. In some instances, if you are buying a well-known brand of multihull, you can learn the truth about her sailing characteristics from knowledgeable sailors or brokers. But I still highly recommend a heavy air sea trial. Heavy air never lies. Sometimes you can take a test charter on the catamaran brand you are considering in the Caribbean or South Pacific. If this is possible, it is a great way to learn exactly how the boat sails in varying conditions. After sailing and racing multihulls for over 30 years I can say with absolute confidence that—all things being equal—trimarans and monohulls are quicker upwind than catamarans. They generally sail a good five to seven degrees higher. I can also say with equal confidence that a daggerboarded catamaran sails considerably faster and makes far less leeway upwind than a catamaran with keels. In fact, daggerboarded cats point nearly as high as most monohulls and sail much faster upwind. For many sailors up-wind performance is not a significant consideration. This is certainly so for those who place a catamaran in charter. In fact, catamarans with keels make better charter cats because you never have to worry about broken daggerboards. Keels also offer a good deal of protection for the rudders—another huge plus when your boat is regularly being sailed by novices. If you happen to cruise off the California coast, however, where Mexican waters are frequented, upwind performance is crucial. Sailing up the Baja shore-line is a long and arduous upwind slog. 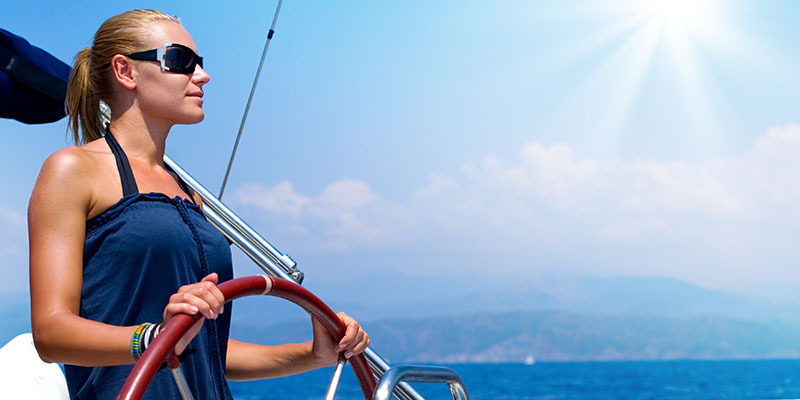 Similarly, if you are sailing on an extended cruise, excellent upwind sailing performance is beneficial for safety as well as personal comfort. Off wind speeds will also be higher on a daggerboarded cat due to reduced drag, steering will be more responsive and lively, and you will be able to reach shallower anchorages. The largest negative to daggerboards is that they are very costly to add to a catamaran and therefore few builders offer them, particularly the larger production builders who must sell more than half of their production into charter programs. When a naval architect sets out to design a catamaran one of his chief goals is to design the narrowest possible hulls required to carry the intended load. If the hulls are wider than necessary, the boat will be slower than necessary. If the hulls are too narrow, the design will suffer dramatically in performance when the boat is overloaded because narrower, flat-sided hulls respond negatively to excess load. A designer who is working with a builder using the most advanced materials to shed overall construction weight (say, an epoxy Gunboat catamaran) will design considerably narrower hulls than he would for a builder using less costly, heavier building materials (say a Lagoon or a Robertson & Caine). Yet no matter what materials are chosen for the construction, the boat must be carefully designed to have the buoyancy required for the user’s load needs. In short, if you feel the need for televisions, microwaves, computers and scuba gear, be sure to get a multihull designed to handle this extra weight. If you want good sailing performance, however, you will most certainly need to spend more to purchase either a very light, high-tech catamaran, or a longer, narrower design to displace the greater loads you intend to carry. If performance is of no concern you can purchase a shorter, heavier, fatter-hulled cat at far less expense. As always, you must think very carefully about how you will be using your boat before you can make an intelligent decision. There are many excellent catamaran owner charter programs on the market. Yet none of them make financial sense unless you have the time to use your boat at least four to five weeks a year. If you really can break away this often some charter programs are highly attractive. I often get calls from men—it is almost always men—who are not satisfied with the range of choices from production builders in the catamaran market. Generally, these men are dear to my heart because they are passionate sailors who crave a level of sailing performance not offered by most builders. 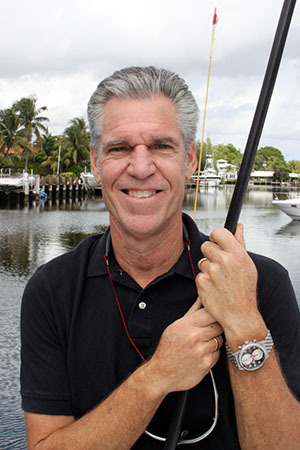 Yet I always caution such buyers that custom boats tend to create custom problems and generally end up costing far more time and money than the buyer ever anticipated. Sadly, when it comes time for them to sell their dream, the custom catamaran is often sold at a significant loss because the boat is unbranded and unusual—she was, after all, custom built because no builder felt there was a market large enough to place such a design in production. On the flip side, for those buying a used catamaran, custom catamarans and trimarans can be a fantastic bargain on the brokerage market. The majority of those I counsel woefully underestimate how much it costs to sustain, slip and repair a 40-foot plus catamaran. And nearly everyone—I mean everyone!—labors under the assumption they can “do a lot of the work myself.” If you are very handy, and have plenty of time on your hands, there is indeed some work you can do yourself—but a whole lot more you can’t. One courtly, retired client I worked with told me he was interested in buying a wonderful old Prout catamaran he saw listed in Florida. He wanted to add daggerboards to each hull, chop off the keels, upgrade the electronics, add new sails and paint her. The cost of the boat was $130,000. He reckoned he could get this done for about $20,000. “No way,” I protested. “It will cost $20,000 just to repaint her.” He thought he could add the daggerboards and trunks for about $5,000. I told him the boards alone would cost at least $5,000—and the trunks even more. I told him he was looking at a minimum of $50,000 to refit this boat properly. Even if he did most of the work himself (hundreds of hours) it would still cost $25,000. The fact is, when you have a beamy multihull that can only be hauled at a few select yards, your negotiating posture for services is pretty weak. If you need to ask “How Much” you are already in deep trouble. In short, be very careful when estimating refitting costs and the value of the fixed-up multihull on the used market. Often, a careful analysis of the facts shows that many people pay far too much for fixer-uppers. Hard won experience has taught me that the Bristol-condition yacht is nearly always the best way to go when buying a used catamaran. Raising and lowering a 900-square-foot mainsail, or reefing it in a blow, takes some energy—even with great reefing systems. Which means it may take a few crew members to use your boat—especially if you are headed off-shore. Do you really want to spend time sailing with inexperienced friends for crew (what if it gets nasty? ), or experienced crew you hardly know? Believe me, it is best to find a multihull rigged for single or double handing. 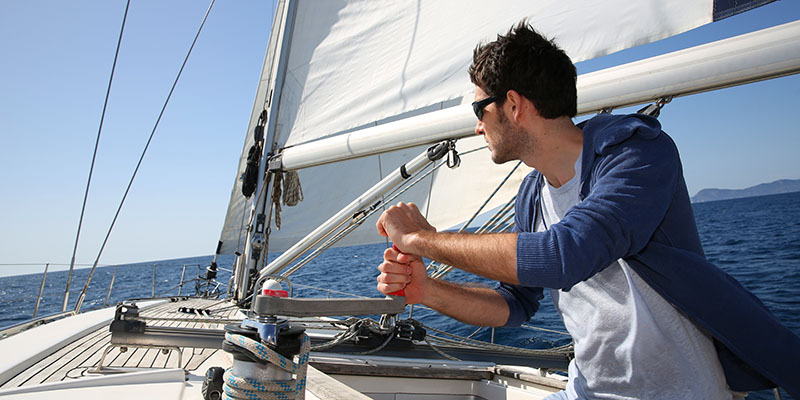 If you cannot sail it with your spouse or partner, your ability to enjoy sailing is severely crimped. In most instances, this means buying the smallest multihull you can find that suits your cruising needs and pocketbook. If you need a 45-foot plus cat it often means adding electric winches, dual furling headsails or perhaps a self-tacking jib. Speed is seldom given serious consideration as a safety factor, but it ought to be. Everyone wants to know if a boat can take a pounding, but seldom ask if a boat can avoid one. One of the great safety advantages of a multihull over a monohull (in addition to unsinkability) is that it can attain much higher speeds. And the faster you can sail, the less exposure you have to dangerous storms. 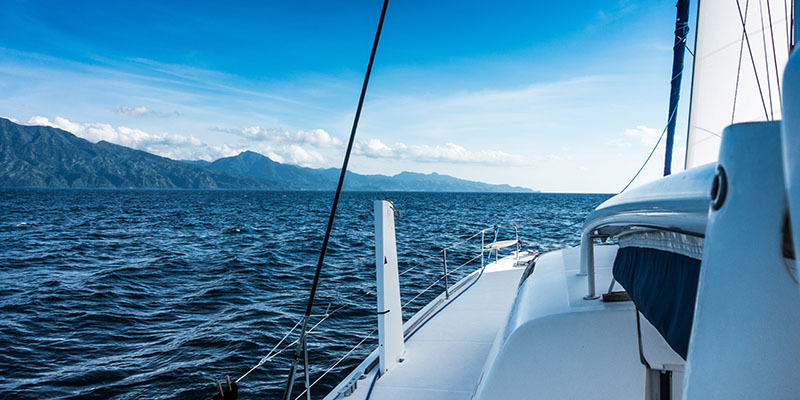 In fact, with modern satellite communications and weather routing services, a performance catamaran that can pull 12 knots running before a storm can easily sail away from just about any sustained winds over 50 knots. Unfortunately, many catamarans on the market today are very slow and made even slower because the bulk of them were rigged for the charter trade. These underpowered rigs are a major drawback for serious warm water cruisers because 70-percent of your sailing will be done in winds of 12 knots or less. To overcome this problem I highly recommend adding a bowsprit to carry a permanently mounted roller-furling screecher. This easily handled sail will boost your multi-hull’s sailing performance dramatically and there-fore greatly add to your safety if you need to reach or run away from bad weather. On longer passages the increased speed will also en-able you to carry less provisioning. These 10 commandments are obviously general. There are exceptions to each of them. I simply hope they will generate a bit of deeper reflection that will spare at least a few prospective catamaran sailors from a bad experience or a costly mistake.